"Rich and gorgeous. This is the [translation] to read... and if you are flying, just carry it under your arm as you board, or better still, rebook your holiday and go by train, slowly, page by page." "[A] magnificent story... marvelously captured in this new unabridged translation by Julie Rose." "A new translation by Julie Rose of Hugo's behemoth classic that is as racy and current and utterly arresting as it should be." 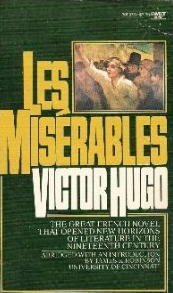 "Vibrant and readable, idiomatic and well suited to a long narrative, [Julie Rose's new translation of Les Miserables] is closer to the captivating tone Hugo would have struck for his own contemporaries." "A lively, dramatic, and wonderfully readable translation of one of the greatest 19th-century novels." "Some of us may have read Les Miserables back in the day, but... between Gopnik and Rose, you'll get two introductions that will offer you all the pleasures of your college instruction with none of the pain." Julie Rose’s acclaimed translations include Alexandre Dumas’s The Knight of Maison-Rouge and Racine’s Phèdre, as well as works by Paul Virilio, Jacques Rancière, Chantal Thomas, and many others. She is a recipient of the PEN medallion for translation and the New South Wales Premier’s Translation Prize. Adam Gopnik is the author of Paris to the Moon and Through the Children’s Gate, and editor of the Library of America anthology Americans in Paris. He writes on various subjects for The New Yorker and has recently written introductions to works by Maupassant, Balzac, Proust, and Alain-Fournier.